Customers can now purchase vacuum tubes from companies like PSVANE and Shuguang online at China-Hifi-Audio at reasonable prices. China-Hifi-Audio is one music electronic online store that believes in regularly updating their stock. Recently, they have included a new range of vacuum tubes from some of the leading brands, such as PSVANE and Shuguang. These are 100% brand new vacuum tubes that come with a one-year warranty, and which are shipped to the customers in the original edition boxes. According to the spokesperson of the online store, they now sell the Psvane Acme vacuum tubes that can offer the much-needed satisfaction to every music lover. These vacuum tubes deliver the best sound that everyone would love to enjoy on this earth. With great reproduction ability, these tubes can fill the atmosphere with the nobility of a voice. With full of passion, the sound quality reproduced can be amazing for every listener. The vacuum tube has some powerful features to enhance the melody and rhythm of the original music. PSVANE is one of the reputed sound equipment manufacturers in China, which bring a classic series of tubes to win appreciations from all walks of life. The company’s classic products are often considered as a masterpiece and which live up to everyone’s expectations. 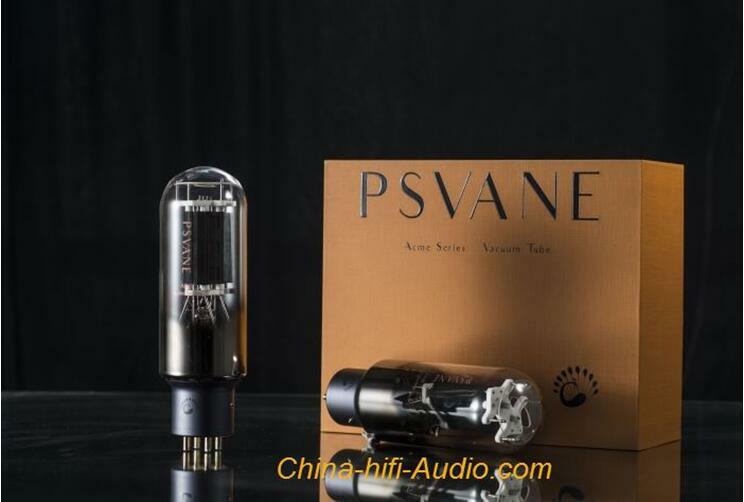 China-Hifi-Audio has a significant range of PSVANE Tubes in its stock. These high-end vacuum tubes are Western Electric’s replica and match the quality of the original products. For purchasing two pairs of these tubes, the online store will send the factory full matched tubes to the buyer. These are direct-heated type thorium tungsten tubes with high quality filament and a robust structure. The spokesperson states that one can expect a long lasting performance while using these vacuum tubes to listen to the music. Each replica tube is designed according to the precise specifications of the original product, and thus these tubes are no way inferior to the original product. The online store also has the Shuguang tubes at affordable prices, and some of these tubes are even shipped without charging any shipping fee. There are different types of Shuguang Treasure vacuum tubes available in the online store, and customers can pick a pair of tubes as per their music listening requirement. However, for purchasing four pieces or two pairs of tubes, one can get the factory full matched tubes from the online store. These tubes can work on Class A1 and Class AB1 amplifiers and feature the Super Alloy technology. Based on its vacuum extraction technology, the product can significantly improve the vacuum. The High Polymer Compound Carbon (HPCC)” technology gives these tubes robustness and durability. One can learn more about these vacuum tubes by visiting the website https://www.china-hifi-audio.com. China-hifi-Audio is an audiophile tube amplifier online shop. The online shop supplies a wide variety of hi-fi vacuum tube stereo integrated amplifier, hi-end CD player, cables, audiophile valve preamp, power amp and speakers. China-hifi-audio sells products from some great Chinese well-known brands, like Line Magnetic Audio, Cayin, MUZISHARE, Music Angel, Yaqin, Meixing Mingda, Qinpu, Bewitch, Shengya, JungSon, LITE, Dussun, Opera Consonance, Shanling, RFTLYS, Bada etc. Previous articleA Resource for Consciousness! Kurtis Lee Thomas’ Highly Rated Book Unveils Hidden Secrets of The Universe!